Welcome to my Prep/Fitness diary! I have decided to share my fitness life with you all. Becoming pro was not easy and I know that making it to the top of the bodybuilding world will also not be a cake walk. I am ready to take on the challenge and become the best version of myself each and every day. The reason why I want to share my journey is because I want to educate and show new individuals to the sport, those that want to know what it takes to be a pro, and those just interested in wanting to know how my day to day life will lead me to step on stage. First Show this season Will be the Miami Muscle Beach Pro on June 8th. This year is going to be the year. My best season was 2017, last year I had a setback season, but this past offseason went really well. I made a lot of gains in the gym, and in my health, getting my period back a little more regularly. My dedication and spirit was much stronger than last year, and my goal is to beat my best package in 2017! Lets do this! This past season honestly did not go as I wanted to go competing wise. Nevertheless, I learned a bunch of new things… things that work and things that do not work. This year I failed to get competitively lean, specially on my legs causing me to do worse than I did in the prior years. It’s ok though, life happens and things happen for a reason. Keto does not work for me- As my first show approached this year (Pittsburgh Pro in May) we decided to incorporate keto. I soon begin to loose weight, unfortunately it was all water weight. As soon as I brought back in carbs after the show. My body rebounded back to the weight it was before started the keto. During the time I was on keto I also looked like a swollen balloon and it made me feel super unfit and it really damaged my confidence that whole prep. That was something I have never had happen to me before… Even during peak week, I had no lines and things just did not feel right. Higher Carbs are the way to go- For my last 2 shows of the year and we decided to do things my way. We flipped the macro proportioning, making the carbs a lot higher and the fats as low as we could get them. As soon a we did this my body started reacting and dropping actual fat weight. 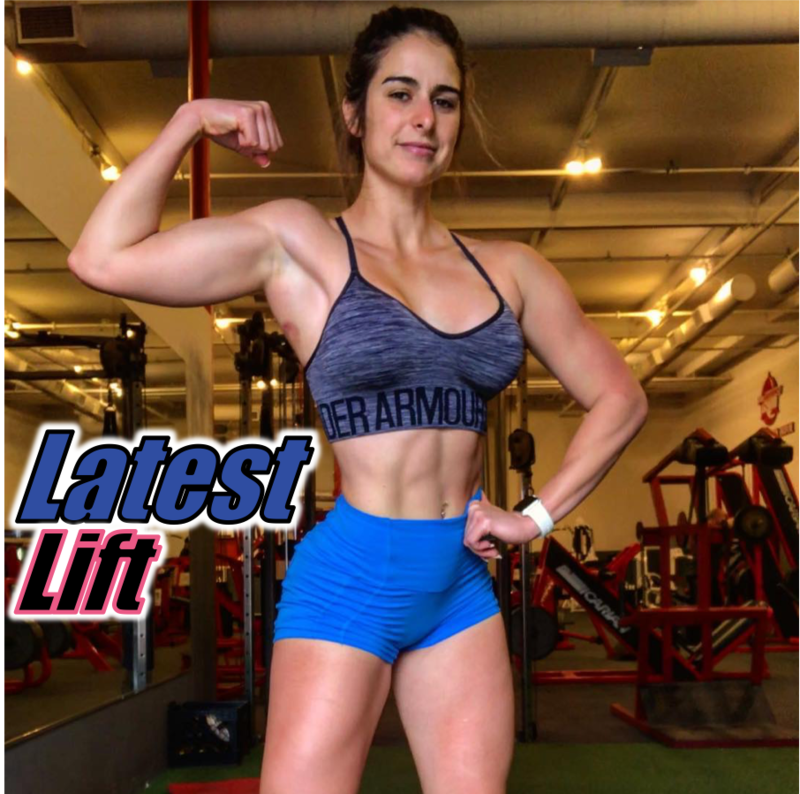 I cant avoid cardio- The whole prep we tried to avoid cardio and not bring it to lower level, unfortunately, my body likes what it likes and it prefers to have a combination of HIIT and moderate cardio. HIIT all the time also put too much stress on my physique not allowing it to drop. I have Female Athlete Triad- So I have not had my cycle since last year (something that I am trying to get back) and the whole approach should be different than for a girl that has her period. Individuals that have amenorrhea struggle more than others to bring down the fat in the legs, other approaches need to be taken when loosing body fat. Bring back my period- As much as I like not having it, I don’t want to have issues later on in life such as infertility and bone loss. I think If I can get it back and try to keep it throughout my whole prep, I may have more success in leaning out my back side. Reverse Diet- Bring up my calories high enough where I can maintain a pretty lean physique and add on some muscle. I have the size in my glutes I just want to really sculpted around and make it bigger. Will I step on stage? until I reach the above goals, I will not step back on stage. My biggest problem has been that I take too short of offseasons. I plan on stepping back on stage next year at some point. I really want to focus on bringing my best self and I am not going to come back up until I have accomplished a winning physique. I do want to do things a bit different this offseason and venture out into doing some crossfit, powerlifting, and/or spartan races. I AM CURRENTLY in my PREP (yayyy!) and I will be doing check ins once a week. Along with my pictures you will also get a glimpse on my daily thoughts for that day. This includes updates on how I am feeling physically and mentally and how I overcome my situations. I will share my thoughts with every check-in and during the days where I have amazing and/or difficult days. How it works: Any day with a physique image is a check-in date and emojis are just thoughts. To view the content, click on the image. Each image will have a brief description of my current weight, the number of days left before the show, how much cardio I was doing at that point, and the body part that I was going to do that day. In the past my body has always been stubborn with the 126s... I likes to hang on for dear life 😂. I do feel tinier though which is good. I had a few blood spots yesterday too but now it’s gone. This week has been pretty rough. I have been having a huge fatigue while working out. I was lucky enough to have my gym partner here in Jax who has been helping me push on some of the workouts. The other workouts that I did on my own I still got everything done and still pushed myself through the dizziness. All of my 45 mins of cardio have been done and I did intervals/ss interchangeably. Not sure if my fatigue and tiredness is due to stress, maybe I’m not sleeping enough, or something else. I’m ready to keep killing it though!! So whatever you bring to me, I’m ready! So today I woke up earlier than usual and I’m using a different scale from what I had been using.